Getting to the island is already an experience in itself. 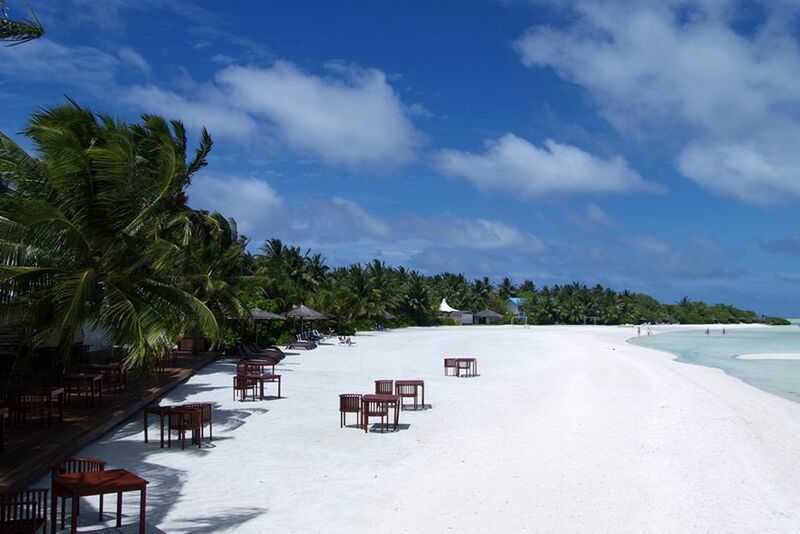 Enchanting landscapes and untouched nature await you on the Meemu Atoll. Fantastic views from every angle. The clear seawater is perfect for water sports of all kinds. Freshly cooked meals under the open sky, just for you. ... or enjoy a snack and a cool drink during the day for refreshment. 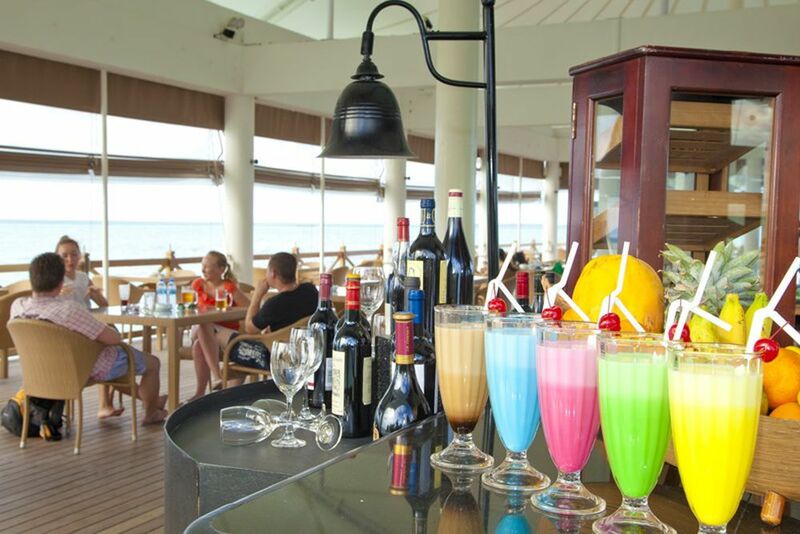 The bar offers a wide range of drinks. How about dining under the stars? The Cinnamon Lagoon Hakuraa Huraa makes it possible. You can also try the lovingly cooked food inside. Observe the underwater world in the water bungalow. Preciously furnished, these rooms promise a pleasant stay. Surrounded by the glistening Indian Ocean's azure waters and lush tropical gardens, lies the Cinnamon Lagoon Hakuraa Huraa. The resort’s exclusive seclusion and tranquility are complemented by the breathtaking underwater world that surrounds the resort and that can be seen through the glass floors. 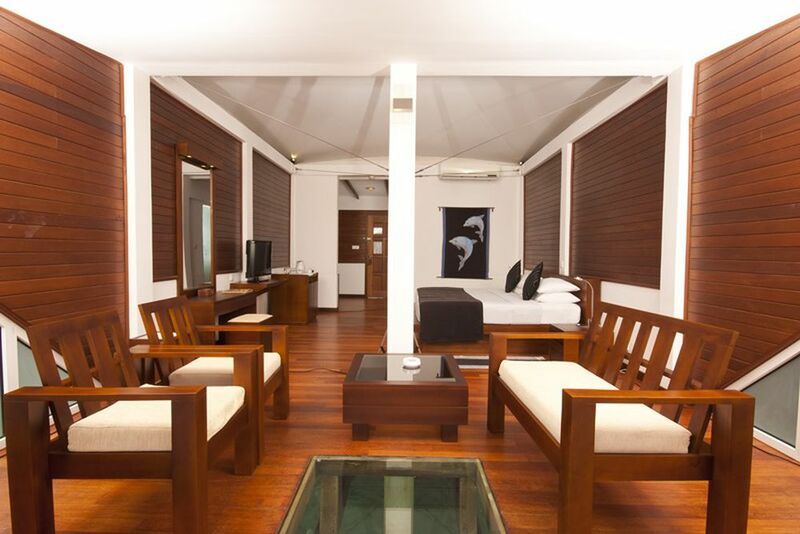 Welcome to Hakuraa Huraa—a destination designed for the intimacy of romance and quiet rejuvenation. Forget about reality and lose yourself amongst the pristine white tent-roofs, a layered blue ocean and half a kilometer-long jetty. Breathe in the magic and let it put a spell on you. 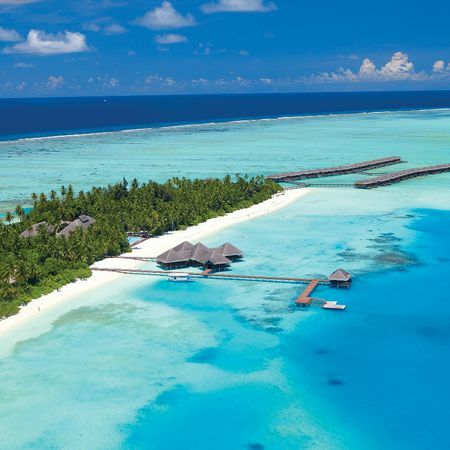 Hakuraa Huraa in the Meemu Atoll welcomes you with layers of color from the lagoon, reef and deep blue sea. The 40-minute seaplane ride to the island is worth the journey because the very moment your eyes first settle on the resort from the skies above, you know you chose the right holiday vacation. The location of the resort attracts everyone—from the unspoiled underwater environment to the pleasantly cool water, it is a place that you will never forget! Cinnamon Lagoon Hakuraa Huraa understands the island life and offers guests the best service, and makes sure to take care of their little island and its bio-diversity. 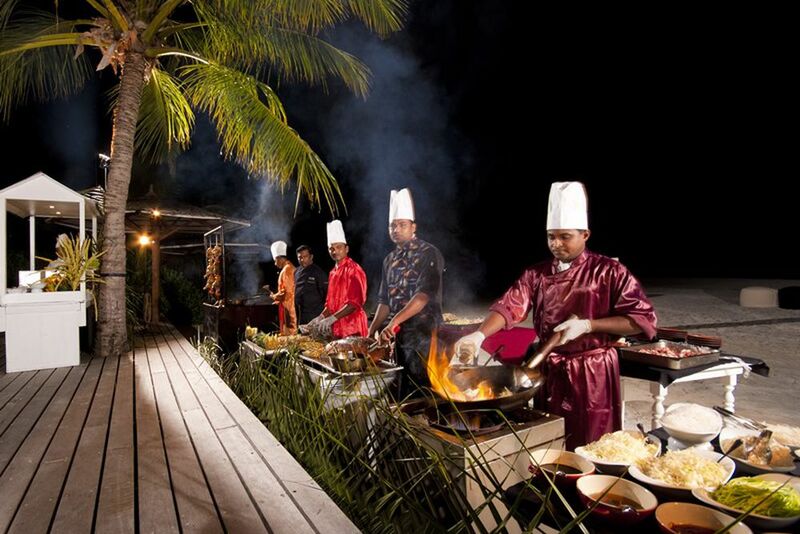 The resort offers relaxed island dining with mouth-watering options that will impress all palates! 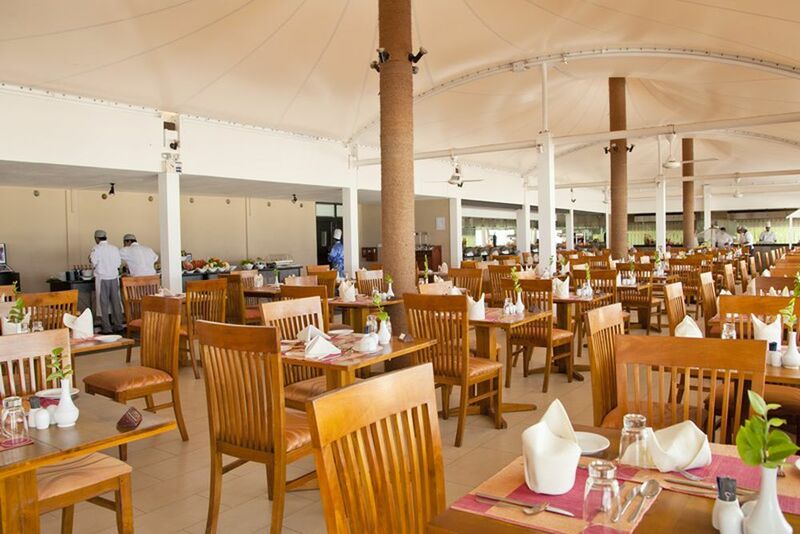 Malaafaiy Restaurant is the main restaurant and serves 3 daily buffets that are consistently large and constantly delicious. The large windows boast views of the breathtaking lagoon complemented by dishes influenced by Chinese, Indian, European and Maldivian flavors. 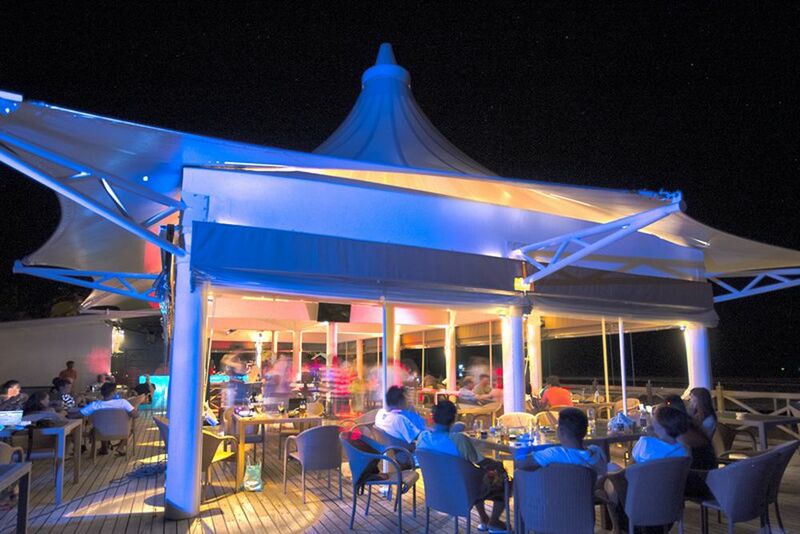 Nalha Falhu Lounge & Bar is located at the end of the jetty and provides the perfect vantage point to watch both the sunrise and the rising moon. 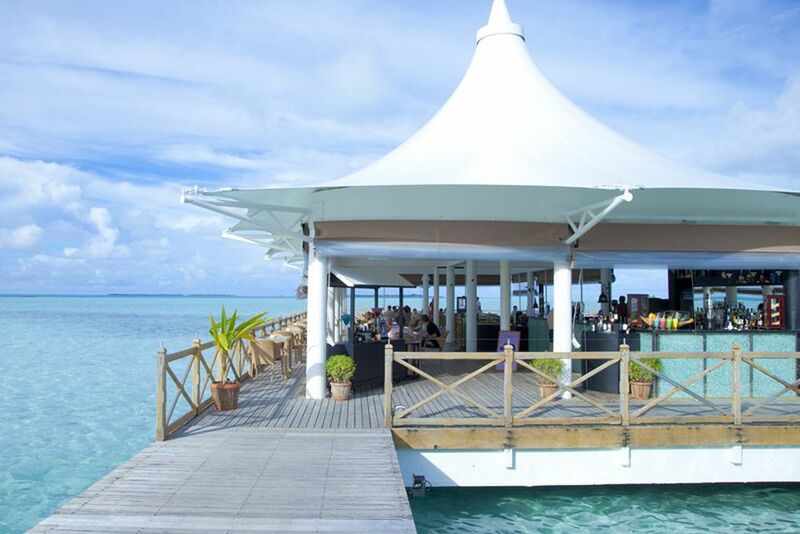 Enjoy refreshing cocktails, delicious snacks and entertainment where you can reflect the days as you listen to the gentle waves. 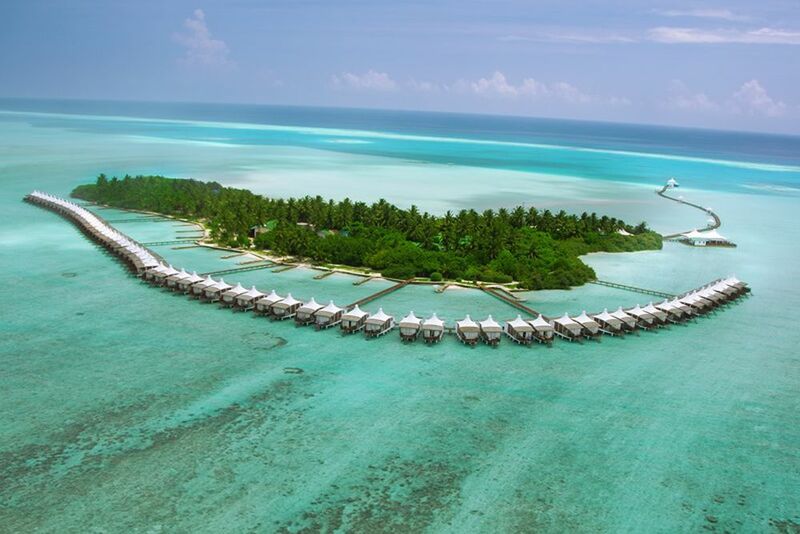 The 70 water bungalows and 10 beach bungalows promise guests a unique and comfortable stay close to the Indian Ocean. The tasteful and minimalist white rooms come with just the right amount of color and comfort to become your private haven from the moment you walk in. 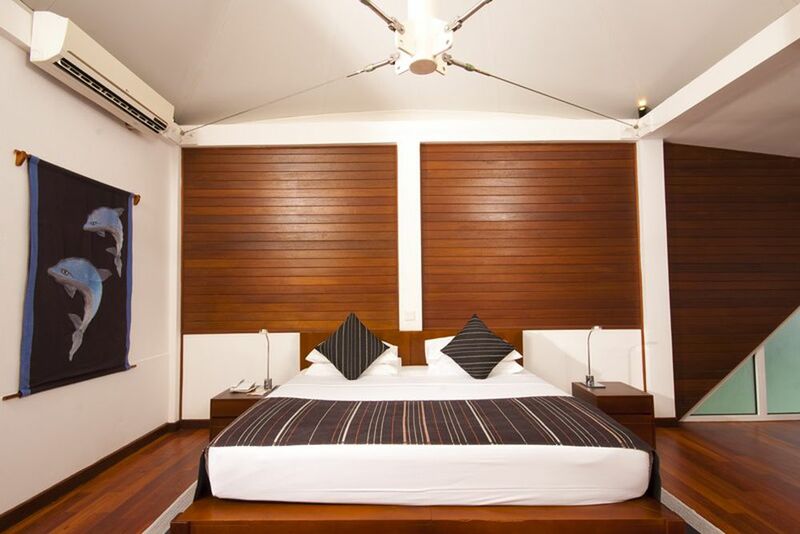 The bungalows are equipped with air conditioning, mini bar, hair dryer, DVD player, safe, cable TV, shower, tea/coffee making facilities, flashlight, rain protection, extra bed or baby cot, sewing kit, beach towels, extra pillows and life jackets. Beach Bungalow—The secluded inland location allows guests to view the beautiful ocean from the cooling shades of the thick foliage and to truly relax your soul. Water Bungalow - Built in a semi-circular pattern around the island, these bungalows give you direct access at both sunrise and sunset. Notice the glass-bottom floor in the living area for viewing the marine life in the ocean beneath your feet! These white and wooden themed bungalows are the epitome of island comfort, perfectly blending into the tropical surroundings. Bring your mind, body and soul back to tranquility and indulge at the Chavana Spa! Choose from an array of treatments and a range of spa products to revitalize, rejuvenate and reawaken the young at heart. 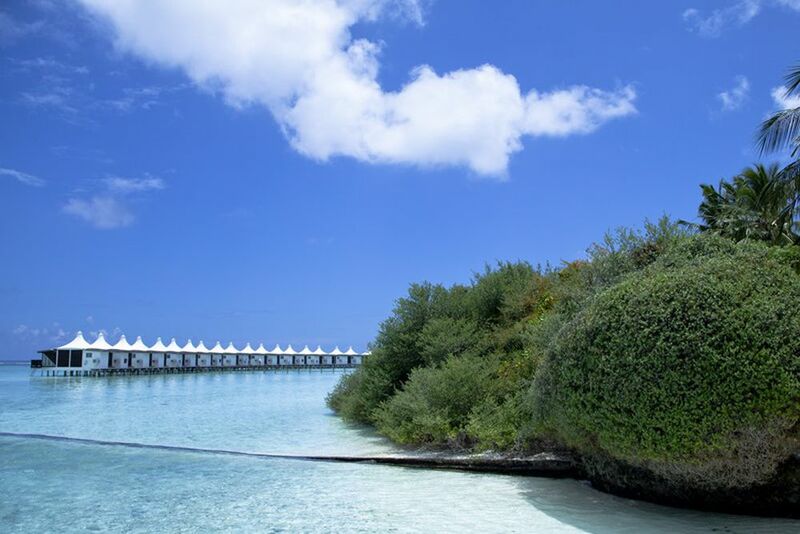 Surrounded by nature, the spa has a touch of Bali as it boasts views of the Hakuraa Huraa lagoon. The spa area has three double treatment rooms with a shower, a double villa with a steam shower, a double villa with a shower and bath and a manicure and pedicure area. 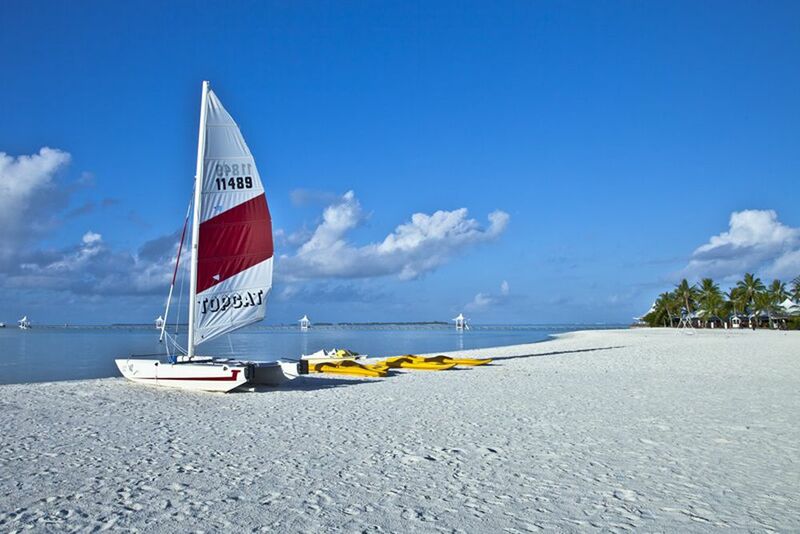 For a fee, Cinnamon Lagoon Hakuraa Huraa offers endless activities! Discover the incomparable underwater world when diving with the Dive & Sail diving school. Explore amongst the bizarre reefs and get up close and personal with whale sharks, manta rays and lunas. Try traditional Maldivian style fishing in the middle of the Indian Ocean with the beautiful sunset as an unforgettable backdrop. 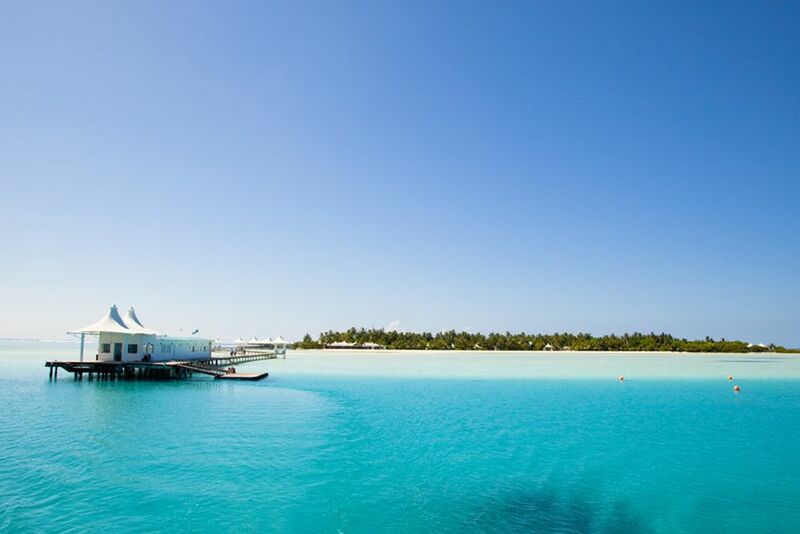 How do you get to know the 2,000 islands of the Maldives? Island hopping is the best way to get to know the beauty of the area! From fishing islands to lonely, uninhabited island, the true diversity of the Maldives will be a learning experience unlike the rest! Visit the deserted island of Adam and Eve and enjoy a day of togetherness and relaxation. Escape the everyday life and relax amid the green forests, and in the evening, you can enjoy an exclusive dinner on the secluded beach.